Is marketing becoming too complex or distracting of a task for your employees? 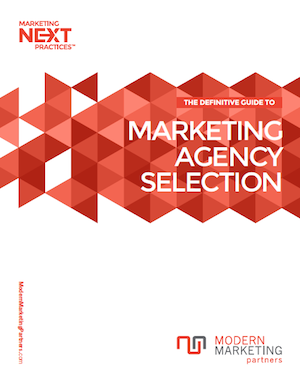 Is your company lacking enough staff to cover the many and varied marketing disciplines? There are a number of reasons why hiring a marketing consultant may be necessary for your business. What do you stand to gain from outsourcing your marketing? And how do you ensure the consultant you hire is up to snuff? We explore the most important ideas to keep in mind when hiring a marketing consultant or marketing agency. What Do You Have to Gain from Using a Marketing Consultant? It really depends on your current in-house marketing team and what your future needs are. Some smaller businesses may need marketing consultants to cover their full marketing effort. A larger company may already have a team in-house and may just be looking for help in the areas of marketing its lacking. For example, it may need coverage on search engine optimization (SEO), website design, or content marketing. Some businesses simply want to hire marketing consultants short-term for a particular project, training, or for a marketing plan that their in-house marketing team can then implement. What is the objective of the project, initiative, or program? How will the results be measured, or what are the measures of success? Depending on your needs, you and your marketing consultant will use that plan and go from there. Obviously, hiring a marketing consultancy requires careful consideration. Here are some musts to consider before hiring a consultant. While it’s nice to get the world’s best consultant, it’s likely going to come at a cost. What can you realistically afford? This will quickly eliminate some options. Also remember to not under spend. If the marketing is low quality, it’s a wasted investment. With the Internet, you have no excuse not to do a little digging before hiring a marketing consultant. If they’re selling themselves as your best option for marketing, their business’s marketing should reflect just that. How is their brand image or website content? What relevant clients and projects have they worked on? Many marketing consultants will have case studies on-hand that illustrate results, both execution value and metrics. What have they done for others and how effective was it? What are key metrics for relevant projects or programs? Also request references including complete contact information. This way, you can reach out and hear from their clients directly. You need more than just their word. Require potential consultants to submit a proposal. Have them identify what needs to be fixed, and how they intend to address problems and opportunities. Consultants should offer detailed recommendations, and explain their process and systems. You need a consultant to have a clear direction. If they can’t lead your business in the right direction, then why even hire them? Once you’ve identified why you need external marketing services, and thoroughly completed your consultant research and considered your options, it’s time to make a decision. Who’s strategy fits best with your company? Who has the best record of success? Is it within budget? Keep these key questions in mind, and the choice should be clear. While your at it, take a look at marketing consulting services offered by Modern Marketing Partners.